State Roofing has served the Seattle area since 1968, and our expertise spans commercial and industrial roofing. We know that roofs are a major component of your business success, keeping your team safe and your inventory dry and secure. State Roofing can install industrial roofing systems on warehouses, apartment buildings, and manufacturing facilities, as well as many other types of commercial building. 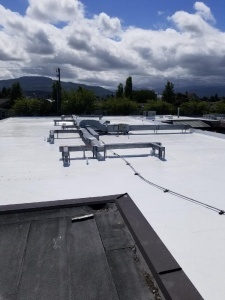 Whether your structure needs a built-up asphalt roof system, TPO single ply or a modified bitumen application, our industrial roofing team can install the right solution for you. 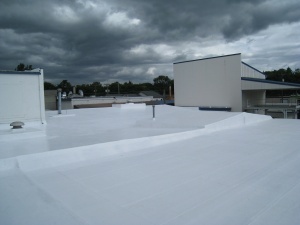 Getting the best return on your commercial roofing investment starts by choosing the right contractor. 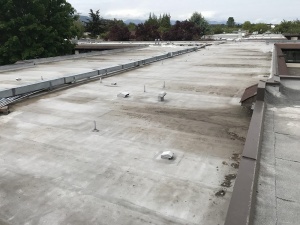 The next step is understanding important commercial roof elements and ensuring that your chosen contractor is experienced in installing the roof that fits your needs. With the right combination of roofing contractor and roofing materials, you’ll enjoy a long-lasting roof that suits your needs for years to come. Explore how long a roofing contractor has been servicing their local community. 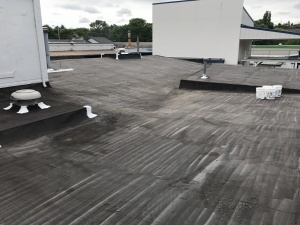 Review information about commercial roofing materials as they relate to longevity and durability with your contractor to select the right roof for your business. Understand the warranty associated with the roofing materials and the service installation. These warranties will be a direct reflection of service and material quality. Assess roofing materials’ impact on energy costs. 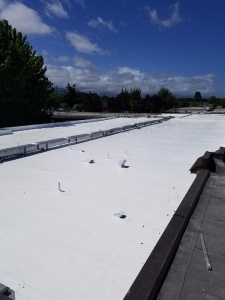 For example, white mineral-surfaced cap sheets, light-colored gravel surfacing or roofs coated with reflective roof coating will help reduce interior cooling costs. Discuss local building code requirements with your contractor. Many local and state governments have specific guidelines for roof systems. 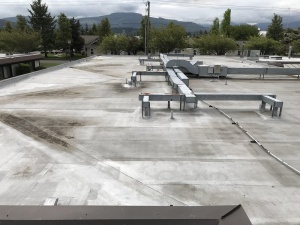 To learn more about our commercial roofing services, don’t hesitate to call us at (360) 205-3100. Or fill out our contact form for to request a free estimate.